The Standalone Access Controller enables you to open the entrance gate or door of your house/apartment without the need for traditional keys. 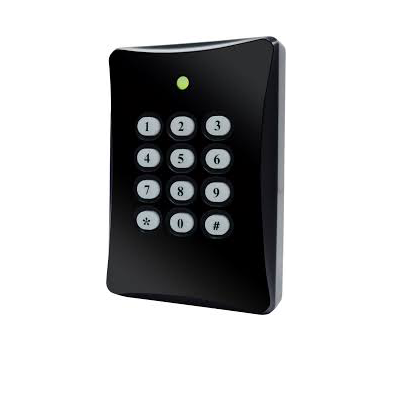 Just enter the programmed code or swipe the access tag in front of the access controller to open the door. It grants you an easy and fast access to your home without the hassle of searching for the keys. The Access Controller we provide is produced by the Taiwanese company Hundure and is made in Taiwan. Unique ID or Block read format supported. 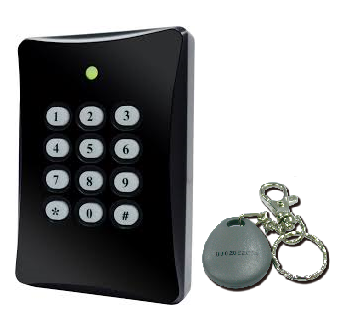 Provides unlock door modes by card or card + PIN; programmable unlock door duration. Duress card/code setting. When door opened in the emergency, controller will send a signal to control center at the same time for tracing and rescue. Working with slave reader to have Anti-Passback function. Conforms to ISO 14443A standard, supporting Mifare® card.